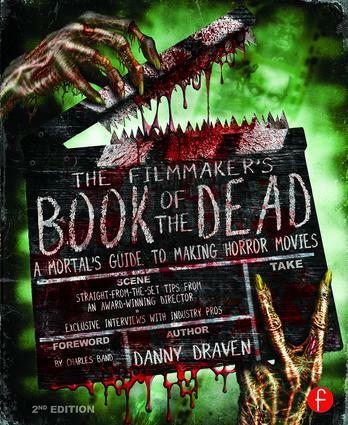 Produce, direct, promote and sell your own chilling horror film with real-world advice from award-winning producer/director/writer Danny Draven! The second edition is completely updated with information on new technology, new exclusive interviews with industry pros, new photos and samples from the production of recent horror movies, new behind-the-scenes video, information on modern distribution methods and delivery and more! From the history of horror and the technique of the scare to pre-production and distribution, this complete, full-color guide to filmmaking uncovers all the insider secrets for creating your own spine-tingling horror film from start to finish. Danny Draven is an award-winning writer, director and producer of genre films. After receiving his film degree from Emerson College, he moved to Hollywood and worked his way up through the ranks until he began producing and directing sci-fi/horror films for B-movie studio Full Moon Pictures (Puppet Master series, Trancers) where he cut his teeth before starting his own production company, Graven Imageworks. He has edited over 80 feature films, including films for Lionsgate, NBC Universal's Chiller TV and the SyFy Channel. He has worked with and been mentored by Hollywood veterans such as Master of Horror Stuart Gordon (Fortress, Re-Animator), legendary cinematographer Mac Ahlberg (Beverly Hills Cop 3), and executive producer Mark Ordesky (Lord of the Rings Trilogy). He is also the author of three published books on genre filmmaking, a member of the Producers Guild of America, and a dog aficionado.